Fred Olsen Windcarrier is combining with its acquisitions, Global Wind Service, Natural Power and Zephir Lidar to form a single entity. Together, the companies will offer inspections, major component exchange, integrated service campaigns, blade repair, high-voltage management, life-extension, decommissioning and repowering. The shipping company acquired Natural Power in 2000, which in turn acquired Zephir seven years later. 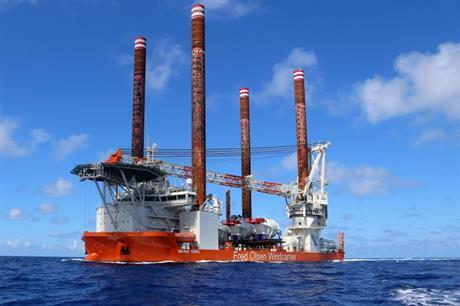 Fred Olsen also acquired a majority stake in Global Wind Services in 2009, with the takeover formalised a year later. The new alliance will pool together 1,200 employees, "reduce risk and management interfaces" and "simplify contracting and lower costs", Fred Olsen Windcarrier stated. CEO Even Larsen said: "Together we have the people, vessels and expertise required to ensure offshore wind owners maximise the generating potential of their plant." He added: "With offshore wind capacity increasing in Europe and around the world, we recognised it was an opportune time to consolidate our complementary skills, shared industry commitment and previous cooperation." Fred Olsen Windcarrier's Brave Tern jack-up vessel installed the US's first five offshore turbines at the Block Island project last year.